Four years later, in a new school and a very different context we are looking to launch coaching again. It will be the main driver for CPD in 2013-14, with a view to using our own staff to develop consistently brilliant teaching across the school. Time slots will be put aside throuoghout the year for colleagues to meet in pairs to have a co-coaching conversation. Again we have started small. A group of interested staff met last half term to talk about coaching and how it could be used at DHS. Armed with the STRIDE model, we paired up and gave it a go on each other. Then we discussed how the STRIDE model of coaching can be put into action, when having a coaching conversation with a colleague. 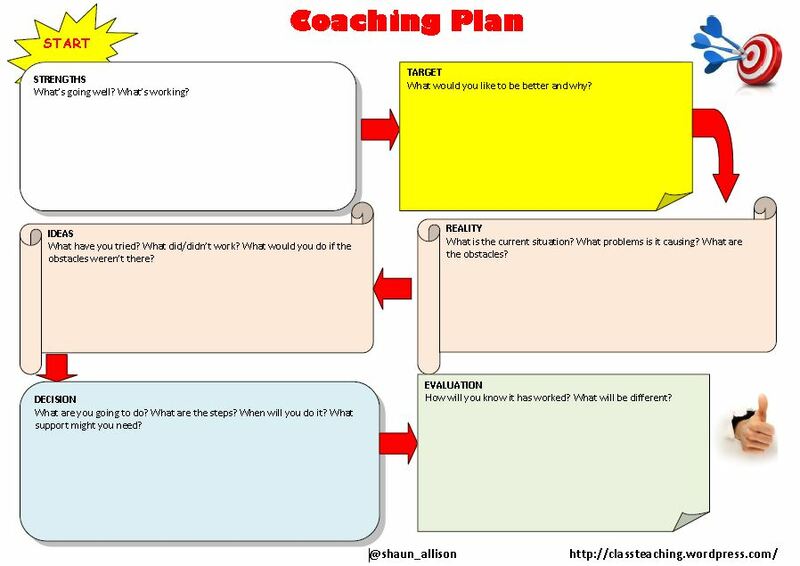 What are the key questions that the coach needs to ask? The feedback form this group of staff was really positive and it has convinced me that the time is right to develop coaching across the school in 2013-14. So, I thought it might be timely to reflect again on the benefits of coaching as a CPD model in schools. Capacity building – When staff are able to solve their own problems by coaching, you are building capacity for future development. Problem solving is an important quality in school leaders. Develops a ‘Growth Mindset’ – When staff feel more confident about solving their own issues, they are more likely to do so again – and so continue to develop and improve their own practice. Grows self-esteem – When we feel that we are supported with developing our own practice and encouraged to try out new things, we are more likely to take risks. Risk taking leads to innovation and the development of new and exciting teaching strategies. Coaching enables this. In context – Because the coach works in the same context as the coachee, they understand the context of the issue, making it easier to help the coachee come up with an effective solution. Fosters team spirit – Coaching is non-hierachical and non-judgemental. 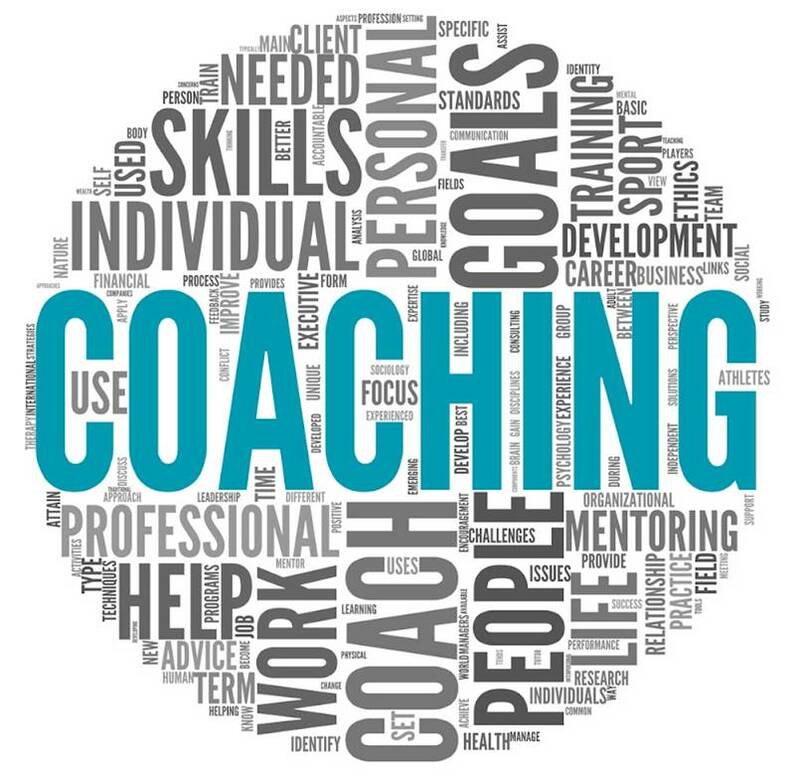 It is also grounded in the belief that everyone can improve and get better – and that everyone has something to offer to support this process – especially when co-coaching is used (A coaches B, then B coaches A). So everyone feels valued. Develops a dialogue about pedagogy – Experience has shown that as coaching develops across a school, there are more conversations taking place about our core business – teaching and learning. Sustained improvement – Many CPD activities can be ‘one-off’ events. At best these may result in a new strategy being tried out once or twice – but this improvement is rarely sustained and usually tails off. With coaching, because you know that you have committed to action and are going to be questioned about ‘how’s it been going?’ when you next meet up with your coach, you are more likely to put it into action. If coaching meetings then happen throughout the year, this improvement will be sustained. Personalised CPD – The ‘one size fits all’ approach to CPD i.e. all sitting in a hall listening to the same message, is not an effective use of time. We all have our own areas of work that we want to develop – coaching allows each of us to focus on what we want to improve. This is so important if we want all teachers to be the best they possibly can be. Empowering – Because with coaching you choose the area you want to focus on and it is not dictated from above, people feel empowered and motivated to improve. This resource can be used during a coaching meeting to record the main points discussed – using the STRIDE model. This entry was posted in CPD Events and tagged Coaching. Bookmark the permalink. Great post! During the first half of this year every teacher received coaching training from colleagues. The idea being to develop ourselves but also to use the skills to coach out students, make them less reliant on us and to encourage them to persevere and develop their own strategies to solve problems. 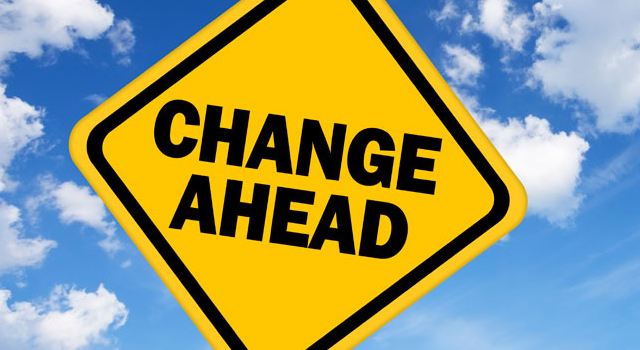 A change in mindset of staff and students is slowly developing. This blog rinsed me of the basic principle of coaching and how to use it to improve. As always a great read and food for thoughts. Thank you Mr Allison.